Since its introduction in the late 19th century, the vacuum cleaner has been a staple appliance in both residential and commercial settings. Wherever humans live, congregate, or work they tend to make a mess. A vacuum cleaner is one of the ultimate cleaning tools out there. Not only are they ideal for cleaning up dust and debris on the ground, a lot of models come with accessories like power wands that allow you to clean curtains and upholstery. The type of vacuum cleaner needed will change from job to job and from room to building. For instance, a powerful upright vacuum like the Lift-Away model from Shark might be fantastic for a home dwelling. But you might want something a little more heavy-duty, like this BigGreen model from Bissell if you’re cleaning a lot of rooms in an office or commercial setting. Residential vacuum cleaners are generally lighter and easier to maneuver around than bigger commercial models. They come in a variety of different types and builds, like the canister or upright styles. Most models are also quite versatile, boasting the ability to clean carpets and bare floors. Maintenance and upkeep can differ from larger models too. For instance, it might be cheaper or easier to fix a residential model, but how often in needs work will greatly depend largely on upkeep. This includes things like frequently changing the bag or filter, and being careful to use the proper cleaning techniques and methods. For example, if a vacuum comes with a brushroll that doesn’t automatically switch off from surface to surface you’ll want to be aware and not use it on unapproved surfaces. On the other hand, commercial vacuum cleaners might last longer or be more durable next to their household cousins. But when maintenance is required, the fixes may be more expensive than those of a residential model. Due to their size and power, commercial vacuum cleaners will typically be more expensive. This is in part due to them simply being a more specialized type of cleaning appliance. It’s often popular for commercial cleaners to be energy efficient in regards to energy consumption. This is because companies that buy and use these large, commercial units are frequently concerned about energy costs. Vacuum manufacturers know this and want to cater to those that are interested in saving electricity and energy, which in turn saves money. Of course, the biggest difference between commercial and residential vacuum cleaners is the performance. A commercial vacuum cleaner is going to be a lot more powerful and heavy-duty than a standard residential model. This is mainly due to the fact that commercial vacuums are utilized in environments that require more power. For instance, someone in the market for a commercial vacuum will be looking to clean whole office floors or warehouses, not just a living room and kid play-area. Frequently this can mean that commercial vacuums come with longer power cords, more on-board tools, and larger debris storage capacity. Regardless of what capacity you’ll be using the vacuum in, you should know the general difference between bagged and bagless vacuums. Each has its own pros and cons that should be carefully weighed when picking out which variation to go with. Vacuums which utilize a bag to store dirt and debris have been around a lot longer than their bagless counterparts. Bagged vacuums generally mean less maintenance and cleaning since all you really need to do is keep an eye on the full-bag indicator light. This will light up when the bag becomes full, alerting you that it’s time to switch bags. Bagged vacuums can be especially helpful for allergy sufferers, especially if they’re made from HEPA-grade materials. HEPA, which frequently stands for high-efficiency particulate arrestance, is essentially a type of air filter found on a lot of quality bagged vacuums. Because of how they’re changed, cleaning or switching bags is a relatively easy and clean process in most models. One merely needs to remove the full dust bag, toss it, and replace it with a clean, empty one. The bagless vacuum design hasn’t been around nearly as long, but has become a very popular choice today. With these types of vacuums, it’s important to stay on top of the cleaning process. Since there is no main dirt-bag, you’ll have to make sure you keep the filters clean and the dust cup as empty as possible. 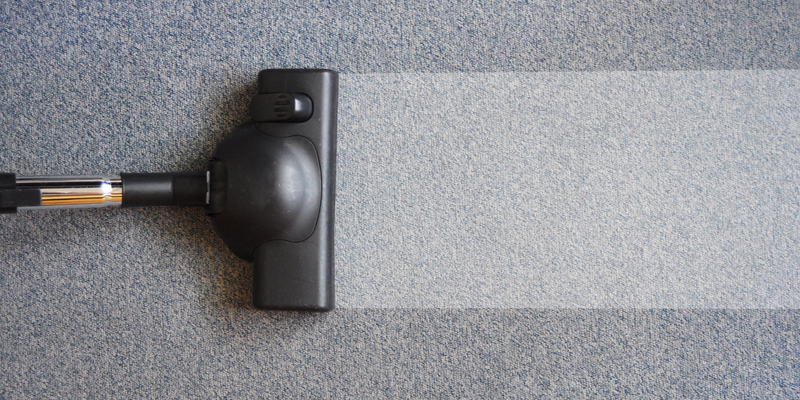 Bad filters or a full dust cup can really hurt the performance of your bagless vacuum. But while over the years a bagged vacuum could go through hundreds bags, while a bagless vacuum just has to have its filters cleaned (or replaced, in some cases) and its dust cup cleaned often. Another great thing about bagless vacuums is the fact that a lot of them are multi-cyclonic, which means they specifically drop out filter-clogging debris from the airstream in order to keep the vacuum free of clogs. Keep in mind that with bagless vacuum cleaners you do have to be a bit more careful when emptying them. This is simply because the process involves cleaning the filters and dumping the dust cup. Below we have detailed the pros and cons of eight different types of vacuum cleaners. Upright vacuums are perhaps the most common vacuum type. Generally they consist of a cleaning head, a handle, and then a bag or canister. Upright models will have a rotating brush-roll or a beater bar that removes dirt through sweeping motions and vibrations. Most of these model types use a suction motor and a drive-belt to rotate the brush-roll. Some vacuums sport a dual-motor which means that the suction itself is provided by one large motor, and brush-roll itself is powered by a separate, smaller motor. This motor doesn’t create any suction itself and instead merely powers the brush-roll. It’s possible for upright vacuums to be bagged or bagless and you’ll find upright models sporting both these designs. Dyson Ball Compact Vacuum — This Dyson upright model has is bagless and actually uses patented Ball Technology that helps reduce noise and increase control and movement for the user. Shark Navigator™ Lift-Away® Pro — Shark also makes a bagless canister upright vacuum that features an extra-large dust canister in order to cut down on canister cleanouts. Fuller Brush Tidy Maid Deluxe — This Tidy Maid vacuum from Fuller Brush stores its dirt and debris in a bag, which makes cleanup easier than most canister or bagless models which use dust cups. It also includes a 32-inch telescopic power wand making it especially versatile. HEPA-grade vacuum cleaners can come in a variety of different types and models. They are hypoallergenic vacuums, which means they specialize in removing allergens from the carpet and flooring. In order for a vacuum to be considered hypoallergenic and meet HEPA requirements, the vacuum must sport a filter that removes 99.97% of particles of are 0.3 micrometres. All vacuums are supposed to pick up visible debris, dust, and particles in your home. A HEPA-grade vacuum will get those particulates that you can’t see with the naked eye. People who regularly and often suffer from allergies will definitely benefit most from a vacuum using HEPA filters, but these type of vacuums can be used in any home or office environment. Since being HEPA qualified only refers to the actual air-filtration system in the vacuum, HEPA-grade cleaners can use bags or be bagless. The HEPA filters themselves are mostly made from a bunch of various fibres, randomly arranged. Generally these fibers are made from fiberglass and are incredibly small, ranging anywhere from 0.5 to 2.0 micrometres. These fibers are meant to trap or grab small, nearly-invisible particulates. There are three different mechanisms HEPA filters employ to accomplish this: interception, impaction, and diffusion. Interception is just as simple as it sounds; particles getting pulled along in the airflow that come within one radius of a fiber will adhere to the fiber. Impaction takes care of the bigger particles, the ones which don’t have a chance of passing through the filter untouched. These particulates are forced to become embedded in the fibers of the filter directly, becoming stuck. Diffusion is meant for the incredibly small particulates. This mechanism results from the collision with various gas molecules by the smallest particles (ie, under 0.1 micrometres), where they are impeded in their traveling through the filter. At low air-flow velocities, the diffusion mechanism becomes the most dominant. It is true, however, that the diffusion and interception mechanisms are virtually ineffective against particulates of 0.3 micrometres; for these particles, the impaction mechanism is most useful. Since this size of particles is the most common, the HEPA specifications are based around the retention of these more than others. It is worth noting perhaps that while HEPA filters are incredibly efficient and useful in filtering minuscule bits of debris, they do not filter out gasses or odor molecules. There are other types of filters for these compounds. S-Class Filters are very similar to HEPA-grade filters and also undergo rigorous testing and must meet strict, stringent standards. The difference exists in the fact that HEPA is regulated by the United States Department of Energy; S-Class filters represent European standards and practices. Sebo K3 PET Edition Airbelt Canister Vacuum — This canister vacuum from Sebo is great for those who frequently suffer from allergies. In addition to being HEPA-grade, it can work admirably on carpet and hard flooring alike. The soft, rubber wheels help to ensure they won’t scrape or scratch any hardwood flooring. It also comes with three on-board attachments. Dyson Ball Multi-Floor Canister Vacuum — This Dyson vacuum cleaner is another powerful HEPA-grade cleaning machine. Also able to clean on all types of surfaces, this vacuum utilizes Dyson’s Ball™ technology, which reduces the noise output and increases user control. Canister vacuum cleaners are the most popular form of vacuum in Europe. In fact, if you’re from across the pond you might recognize them as ‘cylinder vacuums.’ Just like the upright models, canister vacuums can be bagless or utilize a bag. These are in a separate body or canister that is connected to the vacuum head with a flexible hose. Because of this design, canister vacuums are very versatile and can be used in a variety of different environments. For instance, they can reach under tables, chairs, couches, etcetera much easier than the typical upright vacuum model. Generally canister vacuums come with on-board tools are attachments. Vapamore Vento Canister Vacuum — The MR-500 Vento is an especially powerful canister vacuum cleaner. Manufactured by Vapamore, this canister vacuum uses a HEPA-grade filter and uses a bag to collect various dust particulates. This model actually comes with six dust bags, and it even includes various attachments, like the included detail brush. Sebo Airbelt D1 Canister Vacuum with Kombi Nozzle — Sebo makes a particularly interesting canister vacuum as well: the Airbelt D1 with Kombi Nozzle also uses a dust bag-design. This canister vacuum has an exceptionally low profile, making it easy to use to areas with a lot of furniture. And while it can easily clean a home or an apartment, this model is powerful enough to be used commercially as well. The components and parts are of commercial-grade quality, extending their life-expectancy and ensuring their durability. Robotic vacuum cleaners are definitely the hippest type of vacuum cleaner on the market. Popular due to their novel nature, these nifty units hit the market in the early 2000s and have only grown in popularity. They excel when it comes to efficiency since they don’t really need to be operated or monitored; simply program whatever cleaning schedule you’d like them to follow and let them work. In fact, many models today don’t simply vacuum, but will also mop or provide UV sterilization light. 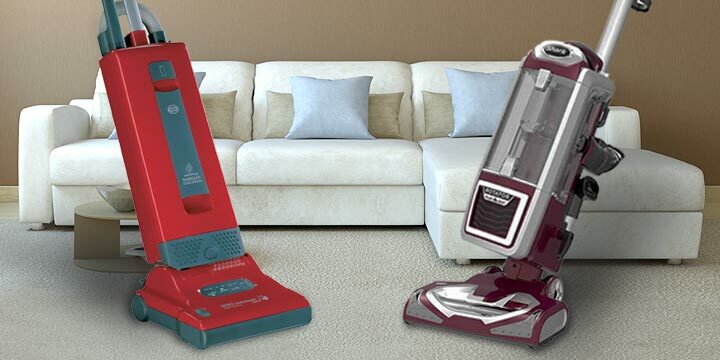 These vacuums, in order to be able to move around the house uninhibited, are also cordless. This means you’ll have to charge them or buy batteries for them. These little robot vacuums also are generally much quieter than a canister or upright vacuum while in operation. Since robotic vacuums are a lot smaller than traditional models, it’s usually suggested that they be used in conjunction with other cleaning methods too; these vacuum types lack the dust capacity and just aren’t as powerful as larger models, so they work best when utilized as an additional cleaning tool. Robotic vacuums can be especially useful in cleaning the corners and crevices you can’t reach or simply don’t want to bother cleaning. Infinuvo CleanMate QQ-2 Robotic Vacuum — Infinuvo makes a personal robot cleaner that will both sweep and vacuum. Their CleanMate model works on a variety of different surfaces (linoleum, hardwood, carpet) and also deodorizes and kills bacteria with a UV light. The charge it carries allows this unit to work for up to 70 minutes continuously cleaning, sweeping, and sanitizing. Infinuvo Hovo 620 Robotic Vacuum — The Hovo 620, also from Infinuvo, can actually even do auto cleaning, spot cleaning, or mopping with the simple push of a button. When the battery is low on this model, it intelligently and automatically finds its way back to charging station to recharge itself. The soft-touched and non-collision obstacle detection feature helps protect the unit itself as well as your furniture around the home. Commercial Vacuum Cleaners are a generally only necessary in specific environments and situations. This being the case, these types of vacuum cleaners are outfitted to deal with their specialized tasks and come in a lot of different varieties. Just like the residential vacuum you’d use at home, a commercial vacuum will typically fall into a basic vacuum type. You can find commercial vacuums that are upright, canister-type, or even in backpack form. Then of course different types and brands will have various specifications suited for different tasks and offices. For instance, if you’re in the market for an appliance to specifically clean hardwood flooring there exists a commercial vacuum cleaner that specializes in just that; if you’re cleaning large swaths carpet you can also find a commercial model more specialized for that. Take a look at the varying types of filters you can find in commercial vacuums. Some can be removed and replaced, some merely need cleaning. You’ll need to look at what the filters specialize in and what they can and can’t deal with. For instance, a HEPA filter is always a fantastic find, because this means that it fits stringent rules and regulations enforced by the EPA. However, if you’re not cleaning an office environment that is especially prone to allergens or you don’t have to worry about allergy sufferers, you may not need to worry about paying extra for something HEPA-grade. Keep in mind things like weight and capacity while shopping for a commercial vacuum model. It may seem like an obvious fact that a heavier vacuum is harder to deal with and a vacuum with more capacity is always better, but when shopping for commercial cleaning equipment, things aren’t always that simple. For instance, a vacuum with an extremely high bag capacity will probably be heavier than models with smaller canisters or bags. In this way, you’d be smart to avoid a heavier model if there is a large track of office or space that needs cleaning. It might be easier and, in the end, more efficient to simply work with a lighter vacuum that holds less debris. Bissell BG10 BigGreen Commercial Deep Carpet Cleaner — Bissell makes a variety of different commercial vacuums of varying in types and specifications, and they’re a fantastic company when it comes to green cleaning options. The BigGreen Deep Cleaning Vacuum is meant to work on think carpets and sports suction power that far outstrips a residential vacuum. This is a model that is great for industrial settings where you have a lot of rugs or carpeting to clean. It even carries its own tank that carries nearly two gallons of cleaning solution. Bissell 14-Inch Commercial Upright Vacuum Cleaner — Or try the 14 Inch Upright Vacuum from Bissell, also approved for commercial work. This vacuum is a bit more versatile than the deep cleaner, in that it can work on multiple different surfaces. This is in part due to its collection on-board tools it comes included with. These include an upholstery brush, a dusting brush, and a crevice tool. Additionally, it sports a telescopic cleaning wand and hose to further extend your cleaning range. It’s worth keeping in mind that while commercial vacuums are very powerful and frequently efficient, they are also much larger, heavier, and require more energy. This being the case, it’s not recommended that you use these products for home or residential use. The obvious fact is that it would just end up being overkill; the appliances just aren’t being used efficiently. The other reason is that because of how powerful these vacuum cleaners can be, if used on home floor or carpeting, you could run the risk of damaging your property. On the other end of the spectrum are stick vacuums. Smaller and definitely more suited to residential use, these are lighter vacuums types that can still carry a number of popular features. While not as powerful as the larger models, stick vacuums are still pretty versatile and will carry enough suction power to deal with allergens and other particulates. Look for a stick vacuum that carries all or most of the benefits of a normal upright model, but still retains its weightlessness and ease-of-use. This means it should have brushroll feature, since most home vacuums these days sport this tool. Of course, it’s important that if you’re buying a cleaner with a brushroll, it’s recommended you get one that you can turn off, seeing as how a brushroll used on the improper floors can cause damage to both the floor and vacuum. Stick vacuums won’t generally have bags attached to them, so they’re all essentially a type of canister vacuum, in a way. Find one that has easy-to-empty canisters. Since a stick vacuum may not have the dust-storage capacity a bigger vacuum might, it’s important to find one that’s easy to clean. Also, look for a stick vacuum that has a long and reliable cord. Or find one with a stellar battery time. Cordless vacuums that use some sort of battery may not have the longest life, so sometimes just finding one with an extremely long cord will have to do. Since a stick vacuum might come with a number of on board tools, it’s important to make sure the included tools are ones that will adequately suit your cleaning needs. Remember that a narrower nozzle will typically have stronger suction power than a wider one. If you know your house has a lot of crevices and spots that require specific detail, find a stick vacuum with a maneuverable powerhead and long but narrow nozzle. Fuller Brush Spiffy Maid Broom Vacuum — The Spiffy Maid stick vacuum from Fuller Brush uses dust canisters and is extremely lightweight. It features a 30 foot long cord, giving you an even larger area of cleaning space. This model comes with a floor nozzle and upholstery brush, which is more than some regular upright vacuums carry. The variable suction options allow you to choose and gauge how much power you need from surface to surface. Dyson V6 Motorhead Stick Vacuum — Dyson, a longtime mainstay in the world of vacuums, makes a number of impressive stick-style vacuums as well. The V6 Motorhead Stick Vacuum Cleaner is an especially fantastic stick vacuum that is cordless and loaded with features. The Max-power mode gives you suction power of a larger, non-stick vacuum and the fade-free battery assures you won’t lose suction power over time while cleaning. It can also easily convert to handheld operation, making it especially versatile. Handheld vacuums have been growing in popularity ever since the 80s. Due to their small weight and size, and overall ease of use, this isn’t a surprising fact. A handheld vacuum may draw from a couple of different power sources. It can have its own rechargeable battery or an included power cord. Sometimes handheld models are actually accessories of larger models and will draw power from the main vacuum. Regardless of where they draw power, these are convenient little cleaning tools. When smaller spills or messes happen, hand-held vacuums are the way to go. It just doesn’t make any sense to lug out the larger upright vacuum in your closet for a little bit of cereal or an extra dusty shelf. These smaller models also come in handy when you’re cleaning your car. Get to those hard to reach areas under seats with a handheld vacuum cleaner. Dyson V6 Trigger Handheld Vacuum Cleaner — The Dyson Trigger handheld vacuum is tiny and lightweight but still sports a lot of features that bigger Dyson vacuums have. For instance, this cordless model still has a fade-free battery and a max-power mode. Only it also allows you to get to places a larger vacuum would keep you from reaching. Wearing less than 4 lbs, this handheld model also comes with a washable lifetime filter and can provide consistent suction for up to 20 minutes at a time. Fuller Brush Mini Maid Hand Vacuum — Fuller Brush also makes an incredibly versatile and accessible handheld vacuum model that has an aesthetically interesting design. With retro curves and in a sleek crimson, the Mini Maid is almost like a standard sized vacuum shrunk down to travel size. Although it doesn’t have a battery, it features a long, 15-foot power cord. This means that you’ll have to stop cleaning when the dust cup gets full; with the Mini Maid running out of battery power is never something you have to worry about. An ergonomic handle and a set of tools round out this classically designed handheld. Central Vacuum Cleaners are possibly the rarest and most specialized type of vacuum cleaner. Oftentimes called built-in or ducted, these interesting vacuum types are meant to function over a large area of space and are meant to be installed as permanent or semi-permanent fixture. Most do get installed as permanent installations and they can be quite costly. Frequently these central vacuum set-ups will be installed when a home is initially built, along with the plumbing, wiring, and the like. This being the case, home owners rather than renters are usually the people that benefit most from these. Since central vacuum cleaner systems are meant to be permanent, if they are properly maintained, they can essentially last indefinitely. In fact, since they have such great longevity, a lot of manufactures offer lifetime warranties for their central vacuum models. There are actually number of benefits a central vacuum has over their more mobile counterparts that you might never think about. For instance, a centralized vacuum system helps preserve the life of walls, carpets, flooring, and furniture of your home or office. Think about it: if you aren’t having to run a vacuum cleaner across floors and through your house constantly you don’t have to worry about wear and tear throughout the home. A lot of various manufacturers will brag about vacuums with rubber wheels or bumpers that result in minimal wear over time. A central vacuum system is even less damaging. Centralized vacuums are also a lot quieter than other types of cleaners you have to manually use. Keep in mind that you don’t typically hear or notice the sound an air conditioner makes as it operates in your home; the noise becomes a part of the background. There’s a similar line of thinking when it comes to these central vacuum systems. Central vacuums are also fabulous for people who suffer from serious allergies. Because of the suction system that these vacuums utilize, allergens and particulates aren’t circulated throughout the house; instead they are externally ejected through an exterior exhaust. 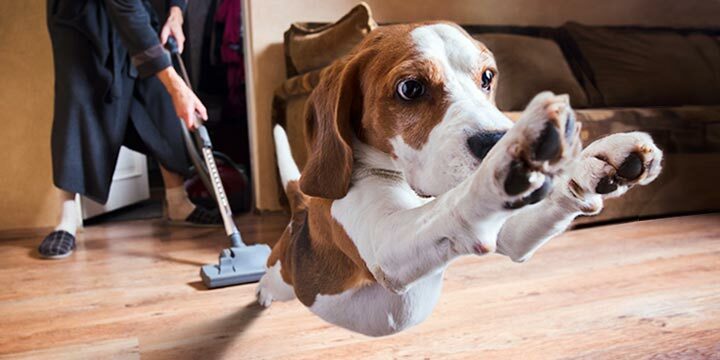 In this way, they are the ultimate hypoallergenic vacuum cleaner because do the most thorough job of removing dust, debris, pet hair, and other various allergens. NuTone — NuTone is a vacuum company especially known for their central vacuum systems. Among the benefits of their products they list cleaner air-quality in addition to cleaner floors and carpet! This is because NuTone central vacuums are so good at ridding all sorts of particulates no matter how small. NuTone is especially fantastic because their centralized systems utilize HEPA grade filters, just like a standup or canister model might use. They also make and provide a large number of accessories that help you keep any and every room in the home or business clean as a whistle. Electrolux — Electrolux is another appliance company primarily known for their vacuums. Headquartered in Sweden, Electrolux central vacuum systems can be installed in a new home as its being built or in an existing, already constructed home. These central vacuums sport motors that are much larger than any canister vacuum on wheels uses. And as well it should be. These types of vacuum systems are built to remove dust from entire homes. Still, Electrolux vacuums can also include various attachments and accessories such as upholstery tools, tiles brushes, crevice tools, and more. When it finally comes to down to making your decision, no matter the type or brand of vacuum you’re picking from, there are some universal factors to keep in mind. Even vacuums that fall into the same category of cleaning type can vary drastically when it comes to cost. An upright vacuum may fall within a price range of anywhere between just under a hundred dollars to over 400 dollars. Find a vacuum with a warranty you’re happy with and one that carries the specifications to get the job you want completed correctly. A pretty obvious thing to think about. Pick out the type of vacuum that will most harmoniously fit in with both your cleaning schedule and the environment you happen to be cleaning. While this may not seem the most pressing issue to consider, it’s certainly not something to take for granted. Pick a model that you won’t get tired of using or looking at throughout repeated uses; pick something you think is attractive. The debate over whether to use a vacuum bag or dustbin (cup) will probably go on for as long as vacuums continue to exist. Each has its pros and cons, and every consumer out there has a unique preference. Do a little research and find your preferred debris-storage method. This is another factor that might slip your mind, though it is a very important one to consider. An overly-loud vacuum won’t just disturb the operator, but can also bother other people in the room or house. And we’ve yet to meet a cat or dog that likes a loud vacuum! Though most models these days do come with onboard tools or accessories, it’s important to see which ones are included. Pick a cleaner that has add-ons that go past novelty and actually help you in your cleaning. A lot of a vacuums’ utility comes from what areas it’s able to reach and clean. A vacuum with a longer cord or even a cordless, battery option is always going to be more useful than one that keeps your cleaning range within 20 feet. Generally, the longer the cord the better. Telescoping power wands are always a happy addition as well. A HEPA-grade filter, which is classified as such if it meets certain EPA regulations, seems like it would always be ideal. However, it may be the case that whatever environment you’re typically cleaning might not particularly benefit from a HEPA filter. Also, so powerful and respected brands don’t even utilize this ubiquitous HEPA filter. Dyson for instance is a reputable brand that sports its own trademarked technology instead of traditional air filters. It’s not always the case that a heavier and bigger vacuum is more powerful. And certainly it may not be most efficient. Pick a model that has a size appropriate to its amount of power, and of course pick a model that has force of suction suited to your cleaning needs. Remember: you don’t need a heavy, industrial vacuum for your kids’ play room, no matter how messy it may get. In a way this factor is closely tied to weight and size. Be careful not to invest in a model that is so powerful it damages your floors or carpets. On the flip side, don’t find yourself stuck with a cleaner that doesn’t have the suction power necessary for the tasks at hand. When it comes to a vacuum’s cleaning reach, the cord is obviously a factor. And then there are some vacuums that don’t even include a cord and function solely off battery power. Some models have the option to use one or the other as a power source. For a lot of consumers, this is simply a matter of preference. Vacuum cleaner heads come in a lot of different shapes and sizes and names. Some companies refer to them solely as ‘powerheads’ and some manufacturers call them ‘turboheads.’ The difference doesn’t so much lie in the name as it does in the brand making them. Some companies (SEBO, for example) make powerheads that are able to be used in conjunction with third-party vacuums as long as you possess the necessary attachment. While personal preference is a strong factor in making any purchase in life, the actual reputation a manufacturer carries should be even stronger. What good is an upright vacuum in your favorite color with an ergonomic handle if it’s being produced by an inferior company and made with cheap parts? Find a brand that speaks to your heart as well as your brain. It’s possible to make a choice using equal parts emotion and logic. Below are some popular vacuum cleaner brands. Some have been previously mentioned and some are just getting brought up. Check out a couple of these reputable manufacturers, but don’t stop your search there! There are so many vacuum companies on the market today, both known and unknown. Dive into the world of one of the most exciting and iconic appliances today. Who knows? You could find the next standard in floor cleaning simply by doing a little online shopping. Making both commercial and residential models, Bissell is an American company that work specifically to see that your carpets are both clean and soft. They also make produce carpet cleaners specifically meant for getting in deep and removing those pesky particulates and allergens. This brand name vacuum maker manufactures large units for spacious homes and smaller cleaners for RVs or apartments and the like. Known especially for their nifty little handheld units, this American vacuum company has been going strong since the mid-90s. This company, while multinational in nature, is based out of Stockholm, Sweden. Its vacuums are designed to be intuitive and versatile, with a modern bent in the aesthetic. These vacuum cleaners sport a clean and attractive design while sacrificing nothing in the way of power. Electrolux is also one of the vacuum brands that make central vacuum systems. This small American Company, started by three MIT grads, is the originators of the Roomba, arguably the most famous robot vacuum cleaner. Called “your partner for a cleaner home,” Roomba’s work off a simple program program-and-go design. iRobot even allows it’s Roomba’s to be hacked by users because they want people to be able to experiment with and improve the cleaner. Formed in 1987, this vacuum maker has been trying to innovate the vacuum cleaner ever since. It makes traditional upright and canister vacuums just like everyone else on the market, but also makes some interesting backpack hip-style cleaners, specifically designed for comfort, maneuverability, and ease of use. This leading brand offers a range of various home products, and in the realm of vacuum cleaners they specialize in central home vacuum systems. Honeywell central vacuum units want their models to be the first step you take to cleaner home air. They also make humidifiers and heaters to further control and improve the air quality in your house. By now you’ve got a ton of terms and information to start a well-informed and productive search for the vacuum(s) of your dreams. It’s always best to start with a type and cleaning task in mind and then go from there. Along the way you’ll learn even more about these iconic cleaning appliances, and in time, who knows? You may be able to turn the chore of vacuuming into a choice activity to do around the home.